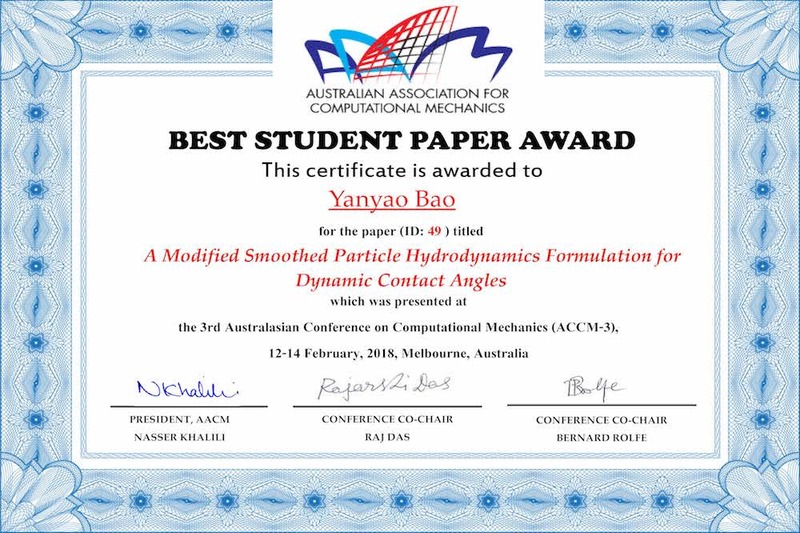 In February 2018, Yanyao and Si presented their research on the 3rd Australasian Conference on Computational Mechanics (ACCM3) hosted by Deakin University, and were both selected as “Best Student Paper Awards”. Yanyao Bao, Ling Li, Luming Shen, and Yixiang Gan (2018), A modified smoothed particle hydrodynamics formulation for dynamic contact angles. The 3rd Australasian Conference on Computational Mechanics (ACCM3), Geelong, Australia. Best Student Paper Award. 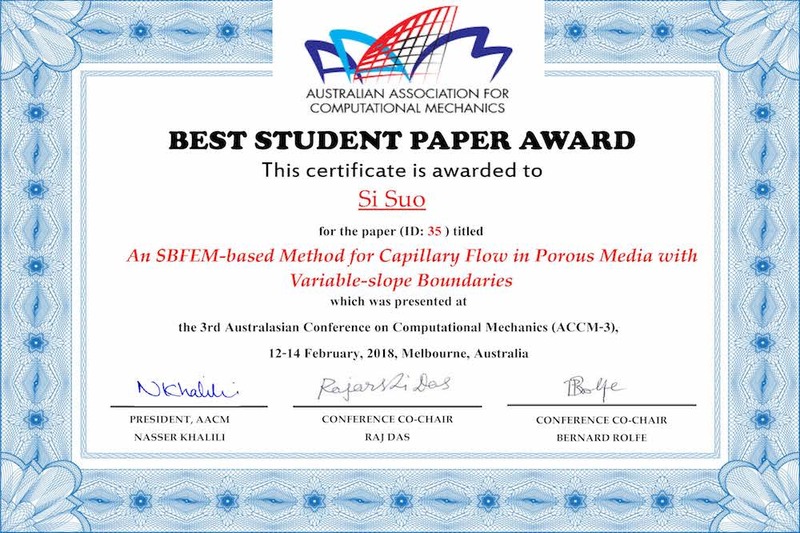 Si Suo, Mingchao Liu, and Yixiang Gan (2018) An SBFEM-based method for capillary flow in porous media with variable-slope boundaries. The 3rd Australasian Conference on Computational Mechanics (ACCM3), Geelong, Australia. Best Student Paper Award. This entry was posted in Conferences and tagged awards, conferences. Bookmark the permalink. Post a comment or leave a trackback: Trackback URL.